St John’s Halls of Residence is located in the heart of Northampton and forms a key part of the town centre regeneration plan. 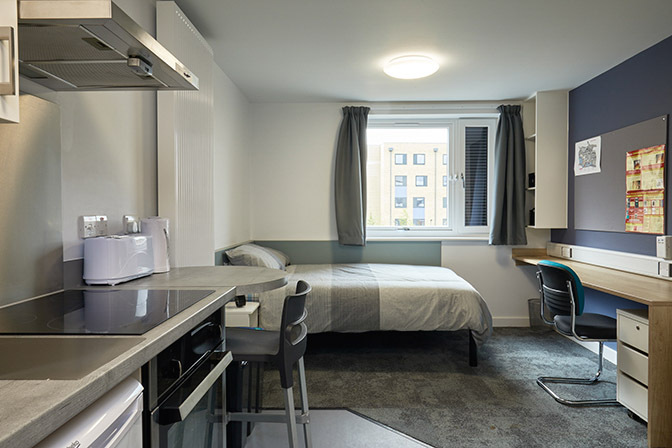 Offering 437 single en-suite bedrooms, seven twin studios and five single studios, the accommodation is close to shops, restaurants and supermarkets, with the Waterside Campus just a short walk away. Find out more about our town centre accommodation by coming to an open day or visiting the accommodation section of our website.